He’s a Barbary macaque, and part of the only colony of the tailless monkeys living on the European continent. About 300 macaques – in five troops — inhabit a place called the Upper Rock Nature Reserve. 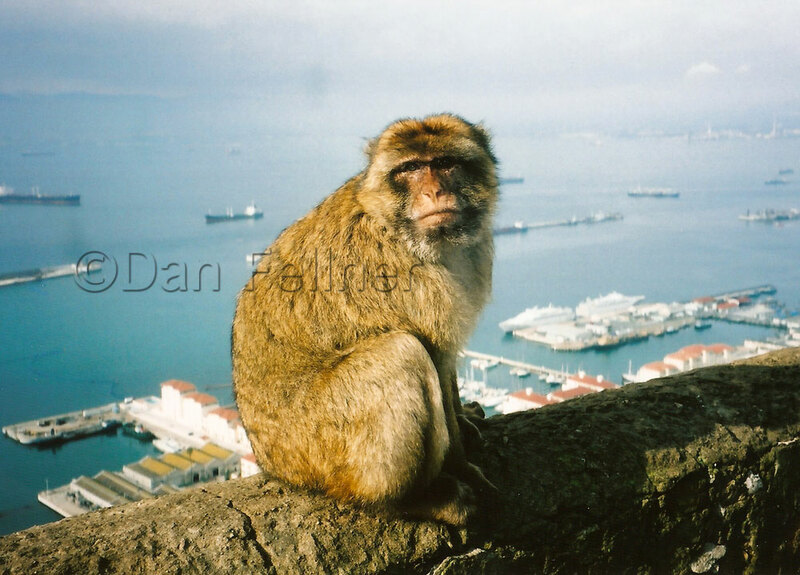 The macaques’ home offers a spectacular view of the Mediterranean Sea and nearby Spain. It’s believed the primates migrated to Europe from northern Africa, which is only 35 miles south across the Strait of Gibraltar. The macaques are wild animals but are not shy about approaching tourists. In fact, I saw one of them rip a bag of potato chips right out of the hands of a fellow tourist (it’s illegal to intentionally feed the animals). We were warned that if the monkeys see something that catches their eye — a purse, camera or jewelry, for instance — it’s not uncommon for them to grab it and hop to safety in a flash into the nearby woods.